At 4:53 a.m. Saturday morning, Bedford County 911 dispatchers received a burglary alarm at Tobacco Express #1 on Forest Road. On arrival at 5:05 a.m. the deputy found the front door had been broken out. 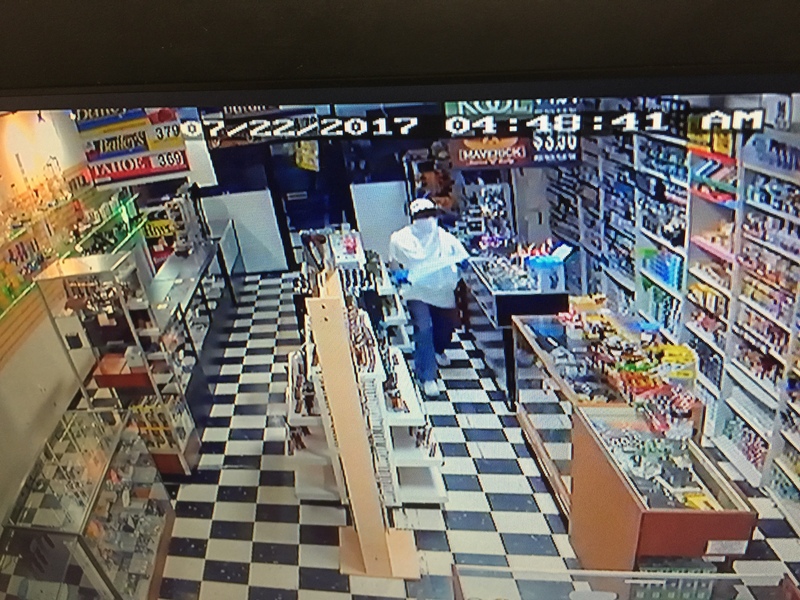 The owner of the business responded to the store and advised that 14 cartons of cigarettes had been stolen. The surveillance video shows a black male entering the store. He is approximately 6’ tall. He was wearing a white shirt, blue jeans, blue gloves, white shoes and flat brim hat. He also had a white cloth or shirt covering his face.